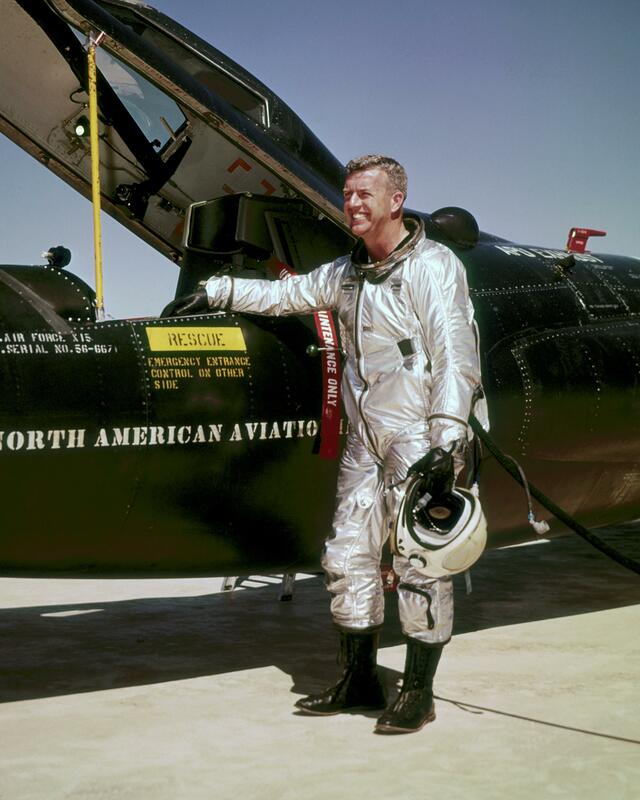 22 August 1963: On his twenty-fifth and last flight with the X-15 program, NASA Chief Research Test Pilot Joseph Albert Walker would attempt a flight to Maximum Altitude. 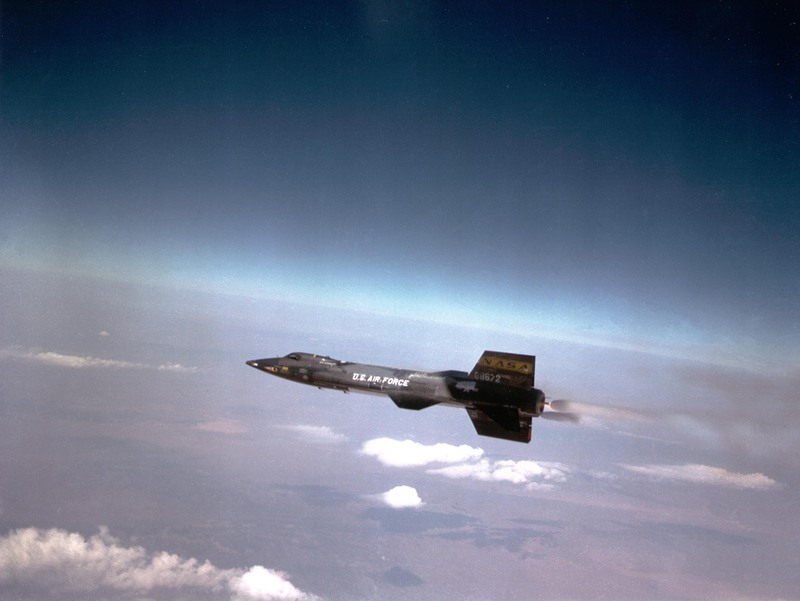 Engineers had predicted that the X-15 was capable of reaching 400,000 feet (121,920 meters) but simulations had shown that a safe reentry from that altitude was risky. For this flight, Flight 91, the flight plan called for 360,000 feet (109,728 meters) to give Walker a safety margin. 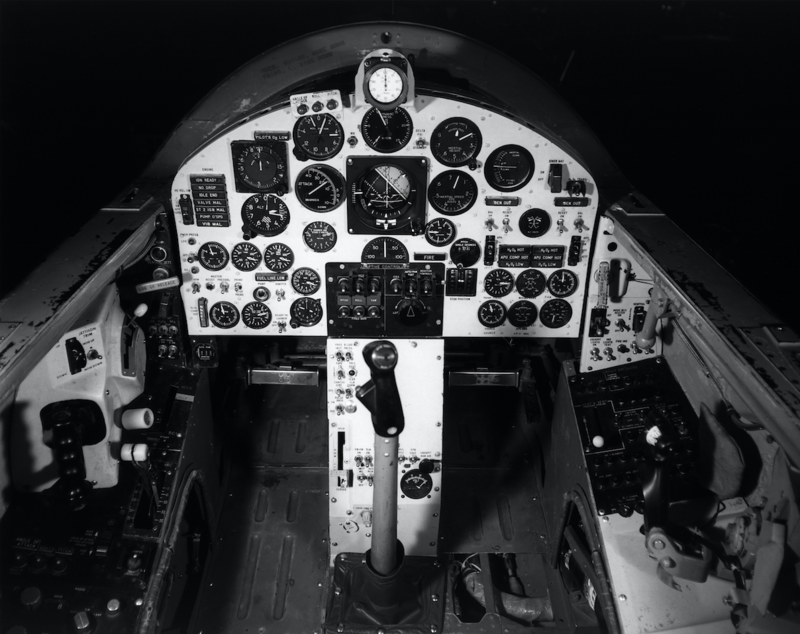 Experience had shown that slight variations in engine thrust and climb angle could cause large overshoots in peak altitude, so this was not considered an excessive safety margin. 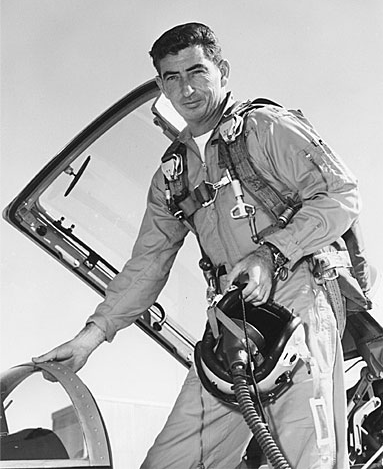 For this flight, Joe Walker flew the Number 3 X-15, 56-6672. 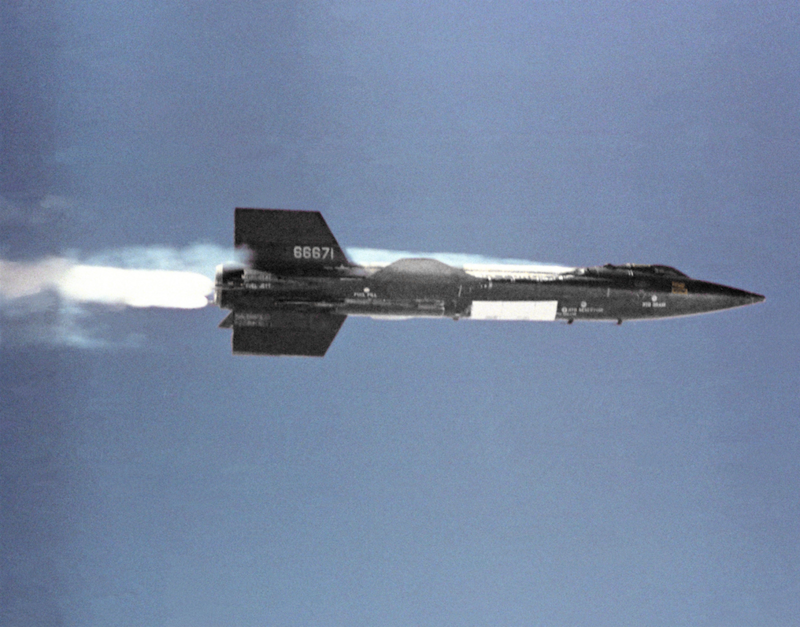 It was the only one of the three North American Aviation X-15s equipped with the Honeywell MH-96 flight control system, which had been developed to improve control of the rocketplane outside Earth’s atmosphere. This flight was the twenty-second for Number 3. 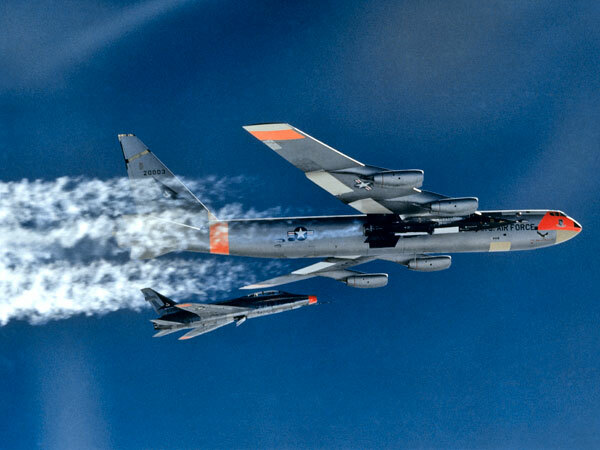 Walker and the X-15 were airdropped from the Boeing NB-52A Stratofortress 52-003, The High and Mighty One, at 45,000 feet (13,716 meters) above Smith Ranch Dry Lake, Nevada, about half-way between the city of Reno and the NASA High Range Tracking Station at Ely. Launch time was 10:05:57.0 a.m., PDT. 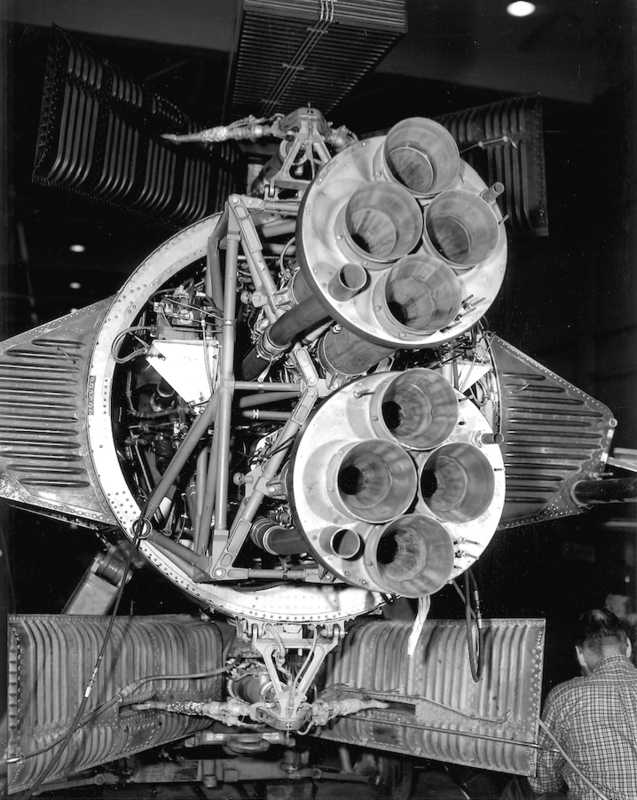 Walker ignited the Reaction Motors XLR99-RM-1 rocket engine. 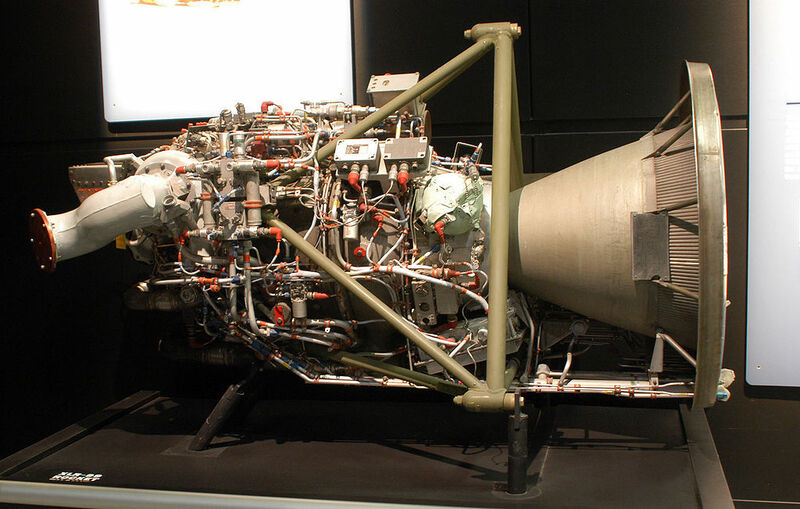 This engine was rated at 57,000 pounds of thrust. 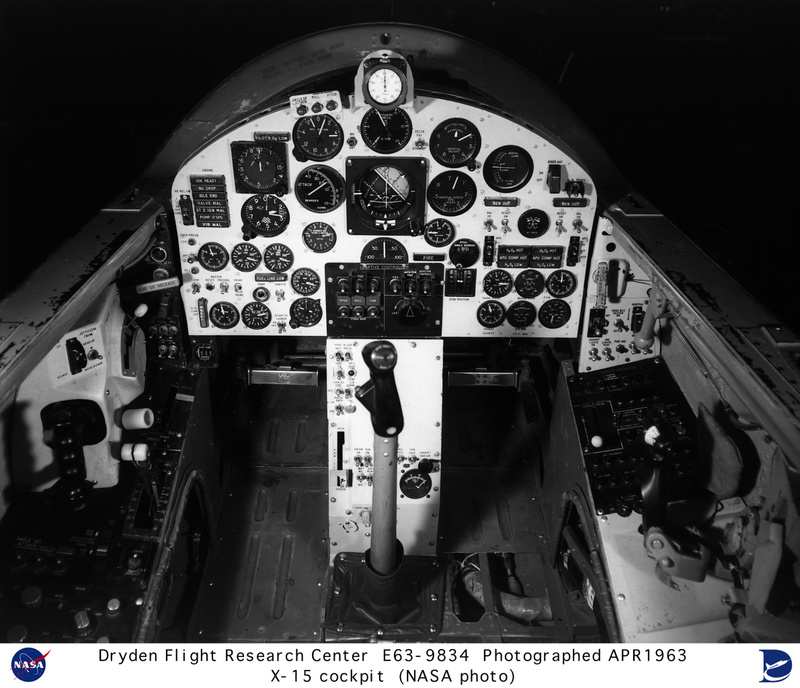 Experience had shown that different engines varied from flight to flight and that atmospheric conditions were a factor. 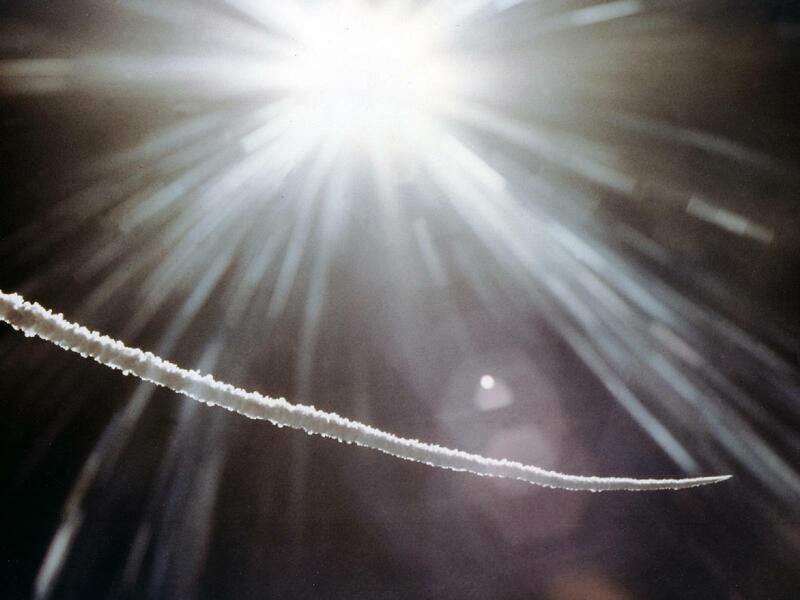 Thrust beyond 60,000 pounds was often seen, but this could not be predicted in advance. The flight plan called for the duration of burn to be 84.5 seconds on this flight. 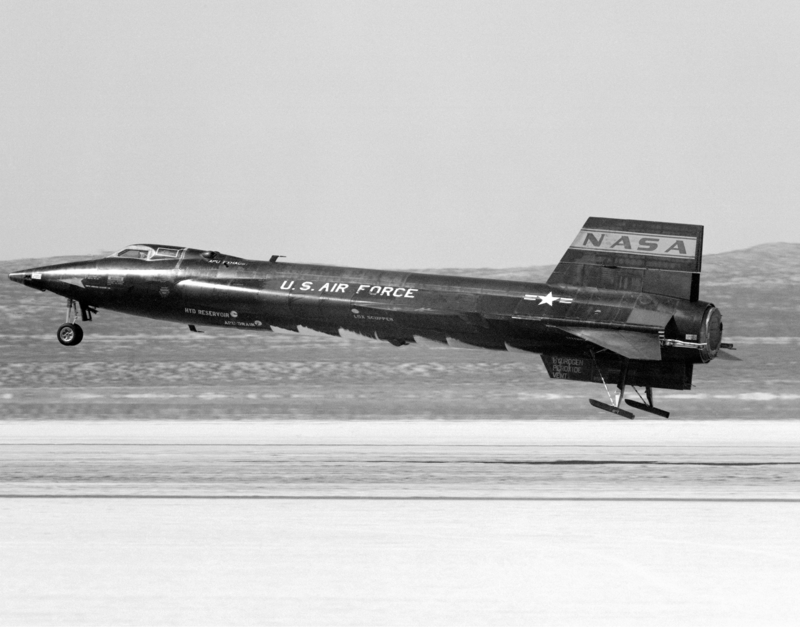 The X-15 climbed at a 45° angle. As Walker was about to shut down the engine according to plan, it ran out of fuel. The total burn time was 85.8 seconds, just slightly longer than planned. “At burnout, Joe was passing 176,000 feet [53,645 meters] and traveling at 5,600 feet per second [1,707 meters per second]. 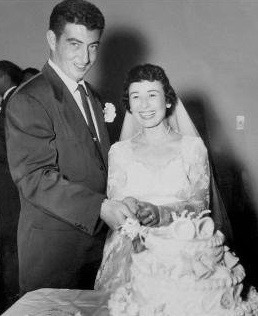 He then began the long coast to peak altitude. It would take almost 2 minutes to reach peak altitude after burn out. Two minutes does not seem like a lot of time, but try timing it. Just sit back in your easy chair and count off the seconds. It is almost impossible to believe that you can continue to coast up in altitude for that length of time after the engine burns out. It gives you some feel for how much energy is involved at those speeds. 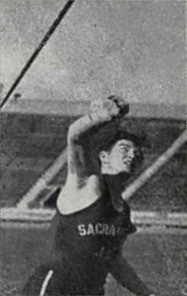 For comparison, when you throw a ball up in the air as hard as you can, it only coasts upward a maximum of 4 or 5 seconds. 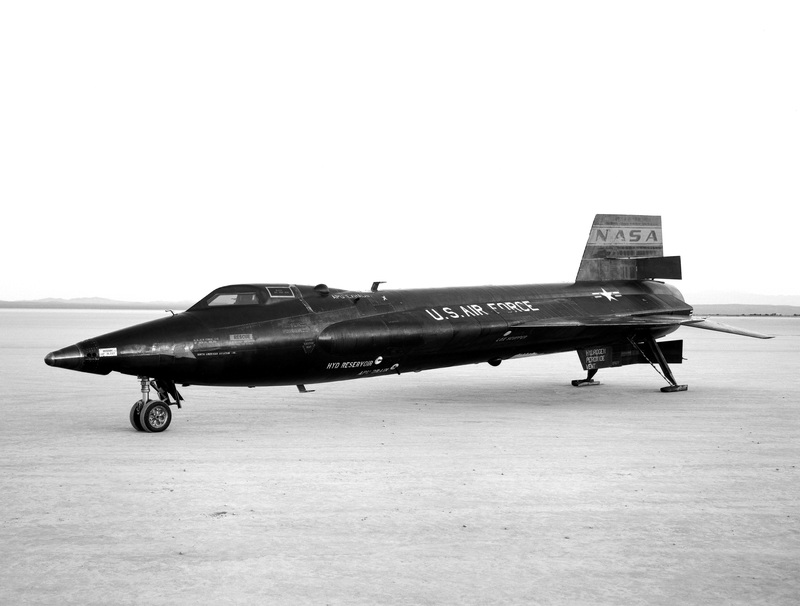 The X-15 coasted up for 120 seconds. 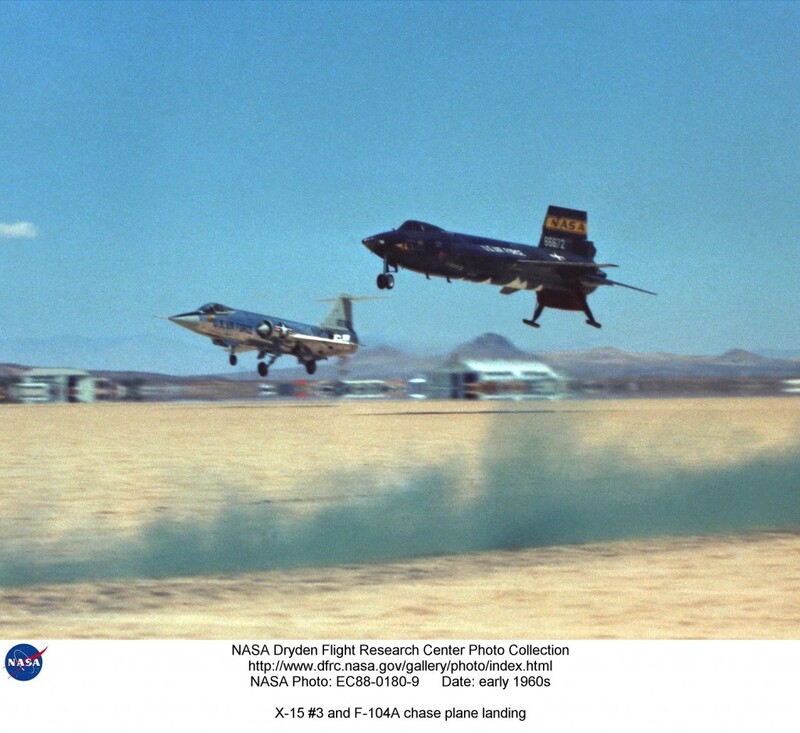 —At The Edge of Space: The X-15 Flight Program, by Milton O. Thompson, Smithsonian Institution Press, Washington, 1992, Chapter 5 at Page 125. 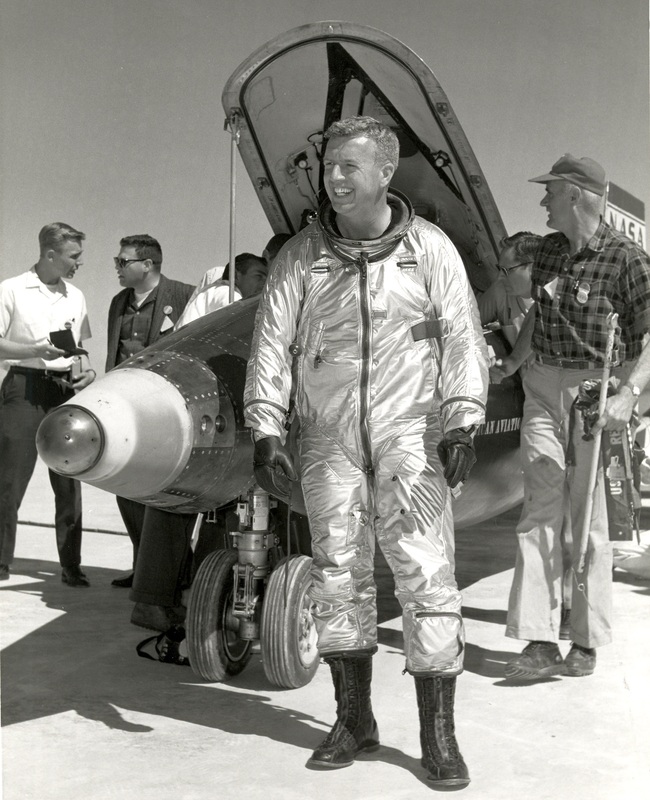 Joe Walker and the X-15 reached the peak of their ballistic trajectory at 354,200 feet (67.083 miles, 107,960 meters). 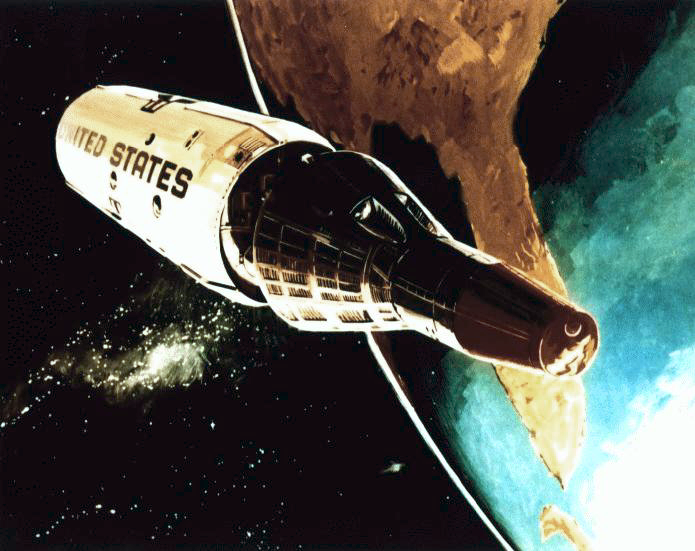 Walker pitched the nose down to be in the proper attitude for atmospheric reentry. 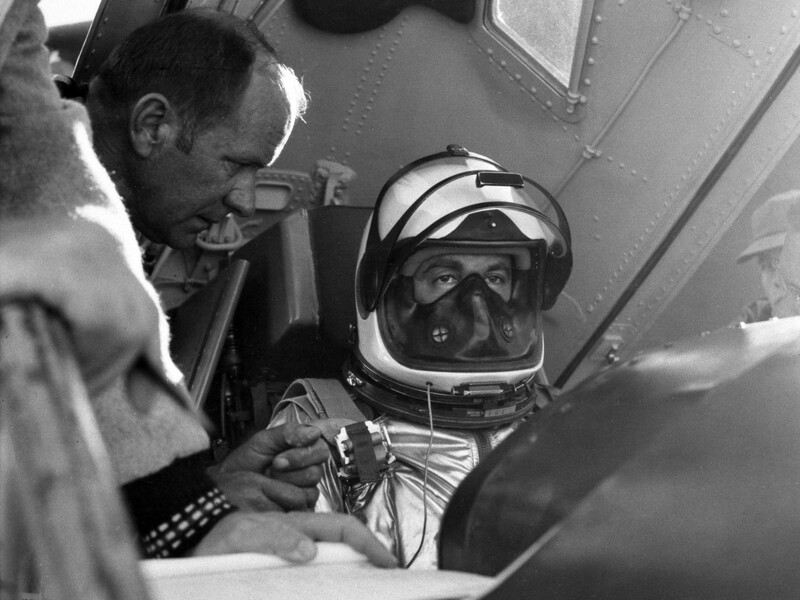 The X-15 decelerated as it hit the atmosphere and Walker experienced as much as 7 Gs. 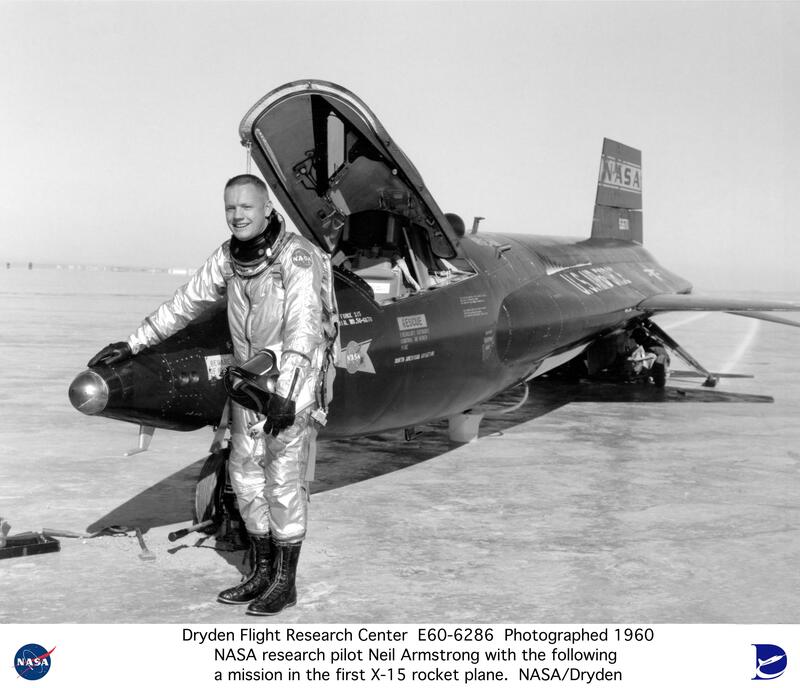 The rocketplane’s aerodynamic control surfaces again became operational as it descended through 95,000 feet (28,956 meters) and Walker leveled at 70,000 feet (21,336 meters). 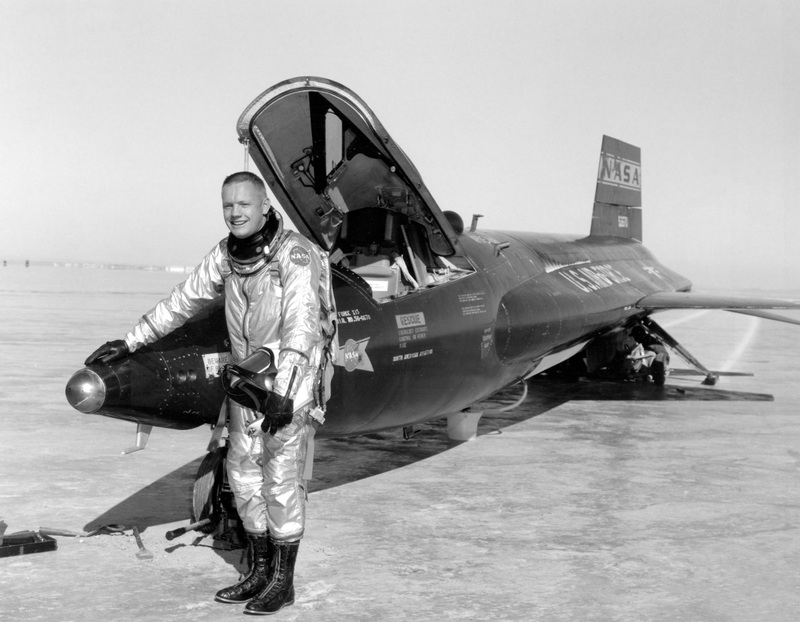 He then glided to a landing on Rogers Dry Lake at Edwards Air Force Base, California, after 11 minutes, 8.6 seconds of flight. 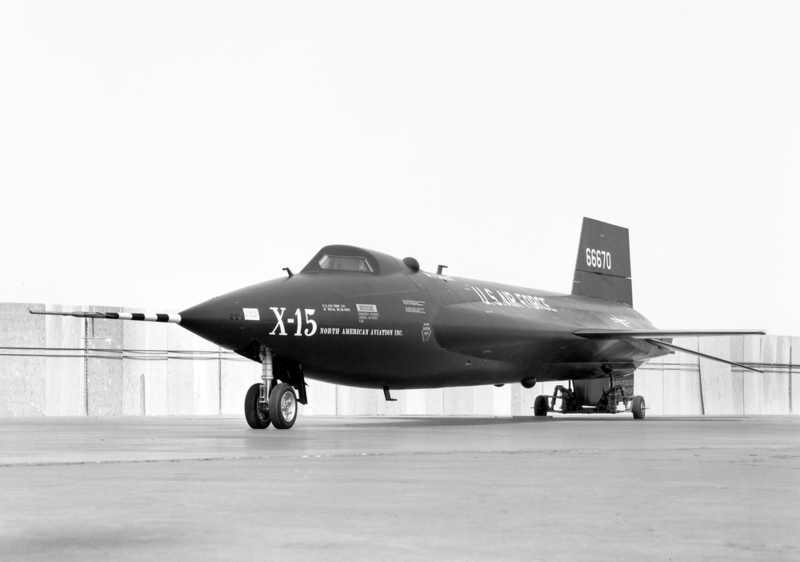 Flight 91 was the highest flight achieved by any of the X-15s. 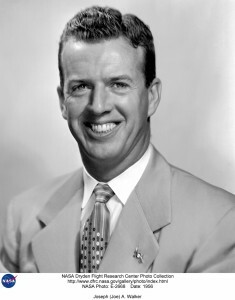 It was Joe Walker’s second flight into space. His record would stand for the next 41 years. 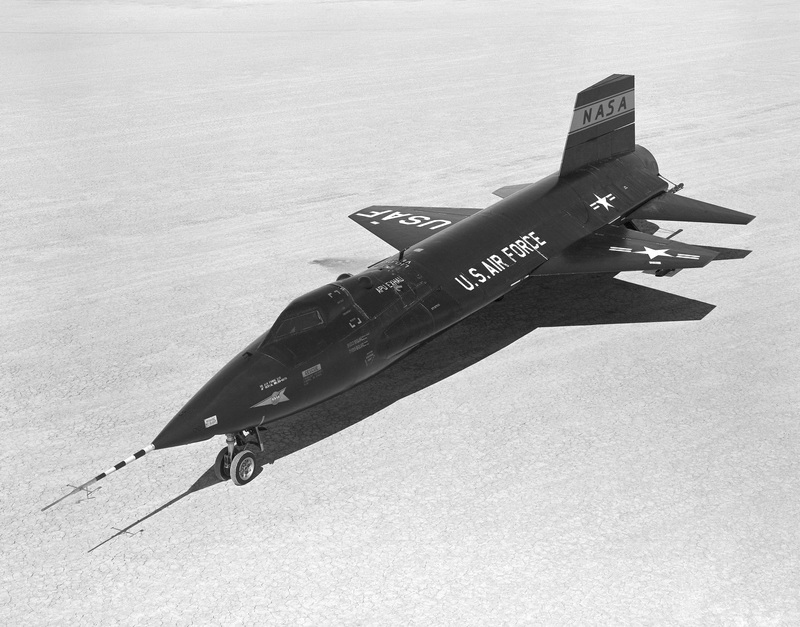 19 July 1963: Between 1960 and 1963, NASA Chief Research Test Pilot Joseph Albert Walker made 25 flights in the North American Aviation X-15A hypersonic research rocketplanes. 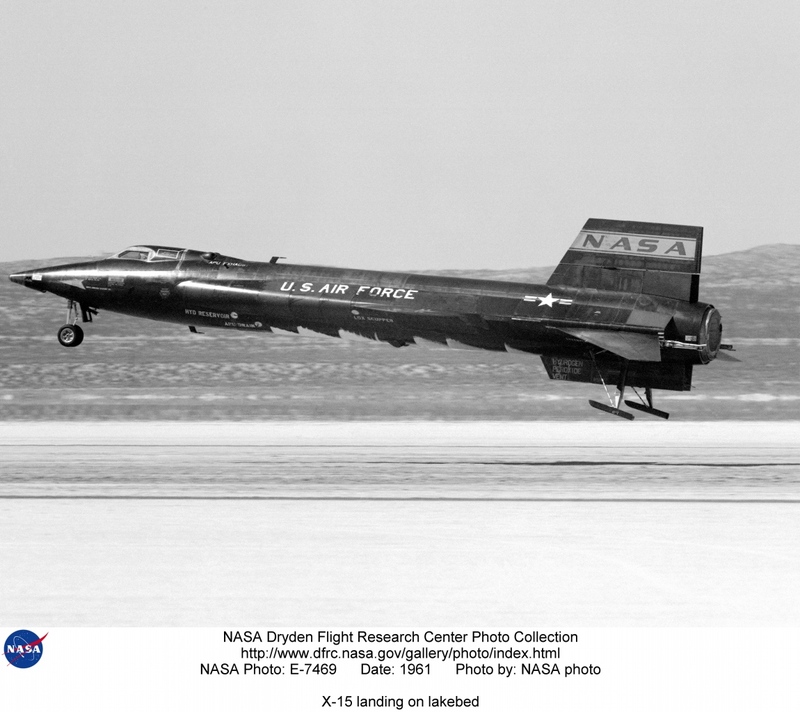 His 24th flight was the 21st for the Number 3 X-15, 56-6672, and the 90th of the X-15 program. 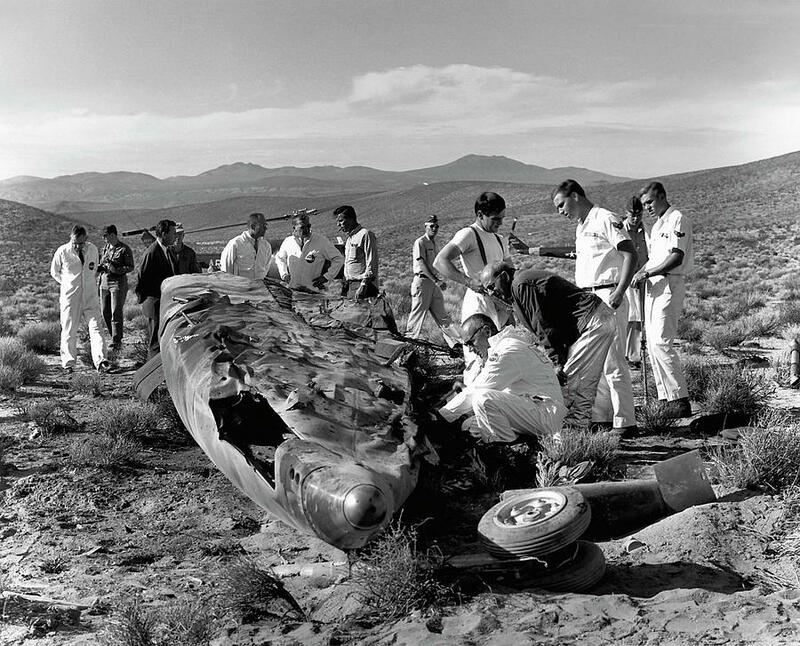 At 10:20:05.0 a.m., Walker and the X-15 were airdropped from the Boeing NB-52B Stratofortress, 53-008, Balls 8, over Smith Ranch Dry Lake, Nevada. 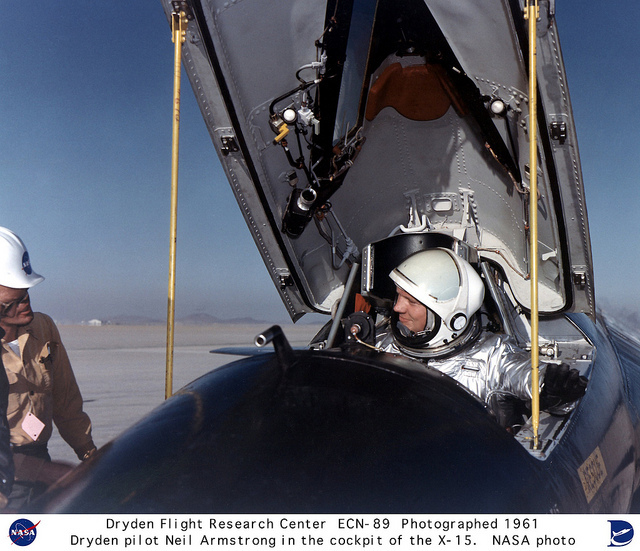 Walker fired the Reaction Motors XLR99-RM-1 rocket engine and over the next 84.6 seconds the engine’s 60,000 pounds of thrust drove the X-15 upward. 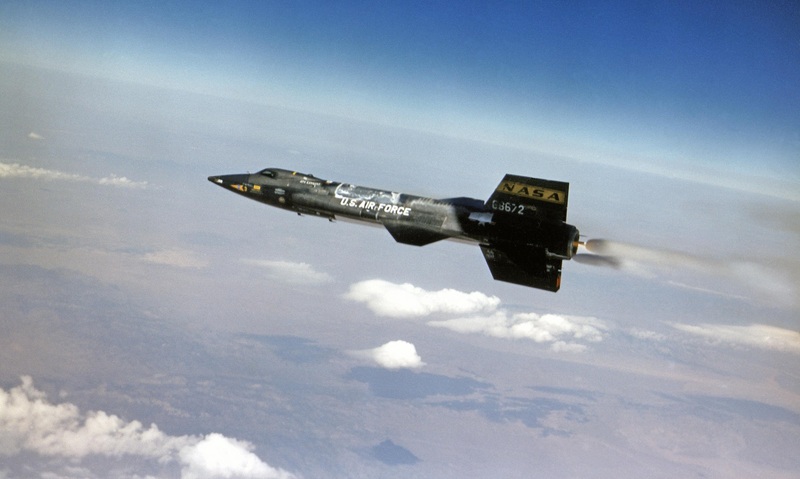 The engine’s thrust on this flight was higher than expected, shutdown was 1.6 seconds late, and Walker’s climb angle was 1½° too high, so the X-15 overshot the predicted maximum altitude and its ballistic arc peaked at 347,800 feet (106,010 meters, 65.8 miles). 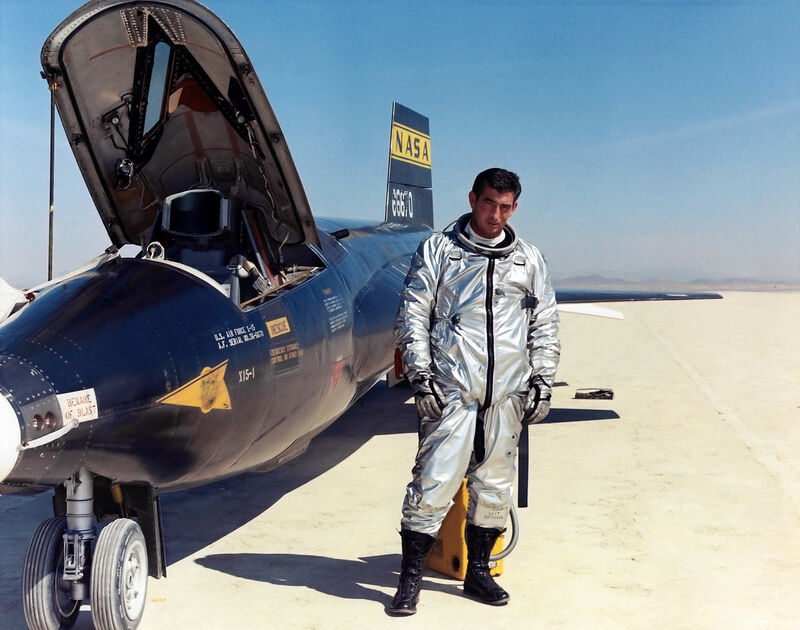 The maximum speed was Mach 5.50 (3,714 miles per hour, 5,977 kilometers per hour). Walker glided to a touch down at Rogers Dry Lake, Edwards Air Force Base California, after flying 311 miles in 11 minutes, 24.1 seconds of flight. 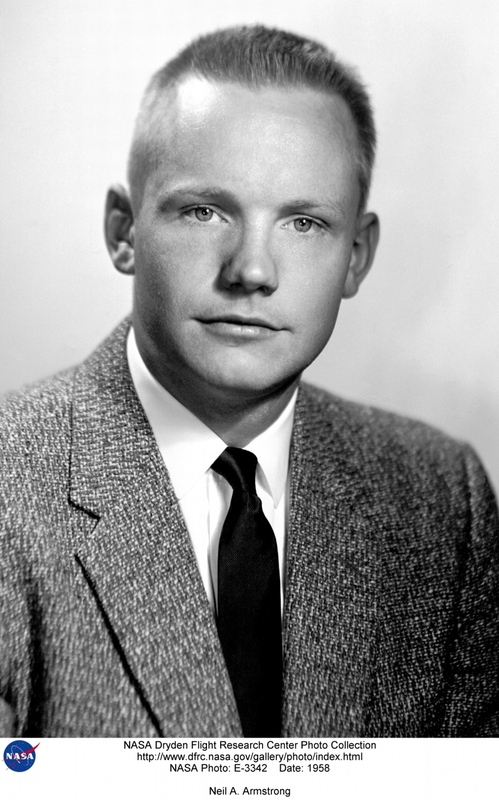 On this flight, Joe Walker became the first American civilian to fly into Space.